Between 1851 and 1861 Australia exported at least 30 million ounces (850 metric tons) of gold - more than one third of the world’s total. The diggings were a casino but the prizes went more to men of strength and stamina. The acclimatised colonial was more likely to find gold than a migrant fresh from England; a barrel-chested labourer was more likely to succeed than a weedy clerk. Here was one of the rare instances in modern history where a great natural resource was more freely available to the poor than to the rich, for the poor were more accustomed to hard work, and only hard work could harvest the diggings. Most gold nuggets were small, weighing only a few ounces each. But every now and then a miner would unearth a spectacular find. News of these nuggets was broadcast everywhere and helped maintain the lure of gold. When it was discovered in 1869 the ‘Welcome Stranger’ nugget was the largest gold nugget ever found. It was found by Cornish miner John Deason and his partner Richard Oates near Moliagul in central Victoria, long after the initial rushes. While digging around the roots of a stringybark tree Deason discovered the nugget lying only 3 cm below the surface. 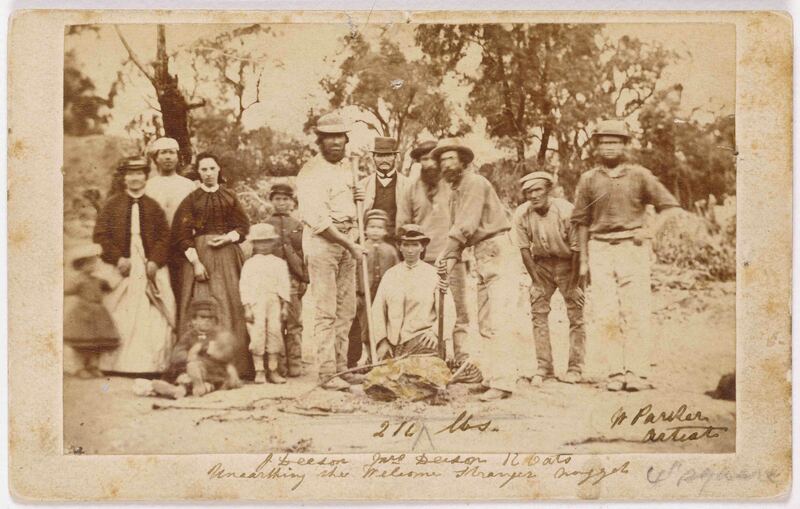 The ‘Welcome Stranger’ was taken to the bank at Dunolly, but was so large that it had to be broken on an anvil at the local blacksmith’s before it could fit on the bank's scales. After smelting it yielded 2,302 oz (about 71 kg) of solid gold. Deason and Oates shared the fortune of nearly £10,000. 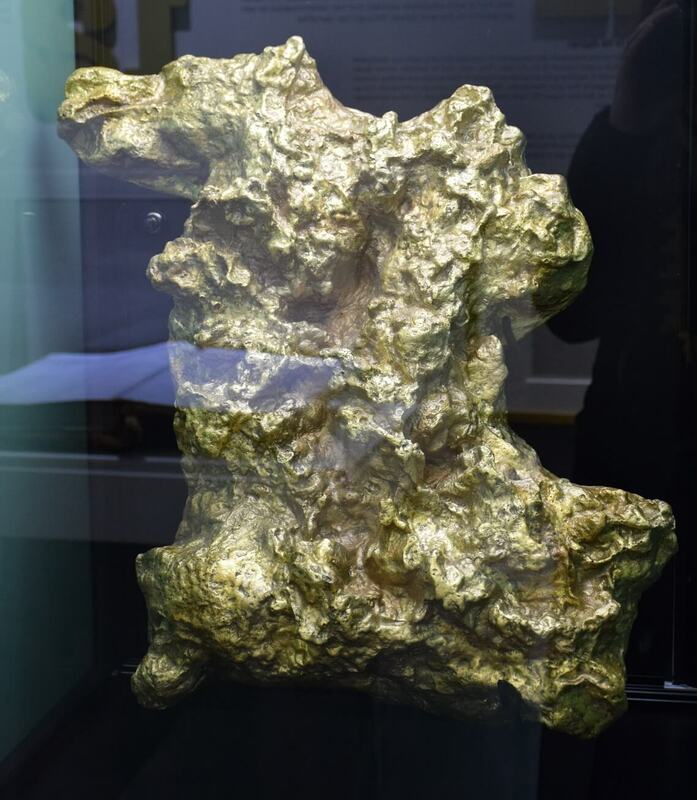 There was such public interest in large gold nuggets that replicas were often made. This replica was probably made by the Department of Mines from sketches done at the time of its discovery. It is made from plaster of Paris and painted. All diggers dreamt of finding a nugget like this. But few were so lucky. Historians have suggested that perhaps ten per cent of miners made substantial fortunes, another ten per cent made enough to invest in a farm or business, while many just managed to keep themselves. Others found nothing at all. Author and miner William Howitt described gold digging as ‘a lottery, with far more blanks than prizes’. Replica property of Old Treasury Building.